Which CDS views do I have per application component? 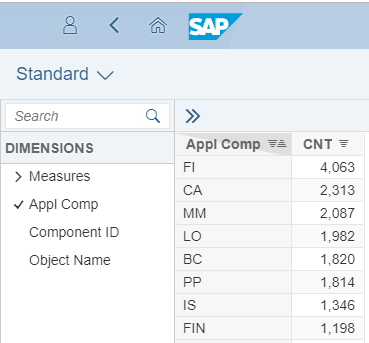 So, I decided to put together a few steps that will help you answer this question yourself based on S/4HANA system you got. In short it is the following two steps: create a CDS view that reads metadata, consume it in reporting tools. So, with this simple query you have an elegant way of looking at information about CDS Views, be that standard or your custom ones.